Thunderstorm likely in different parts of Telangana today. Thunderstorms coupled with gusty winds and lightning are likely to lash more than half of the districts in Telangana on Tuesday, the India Meteorological Department (IMD) said. In its forecast for the next four days, IMD said similar weather conditions were expected on Friday too. 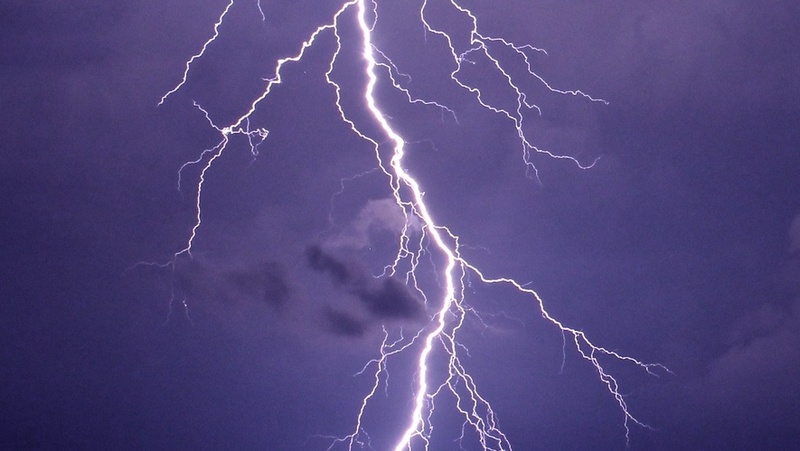 On Tuesday, thunderstorms, gusty winds and lightning were likely in parts of Adilabad, Nirmal, Nizamabad, Karimnagar, Rajanna-Siricilla, Sangareddy, Medak, Siddipet, Hyderabad, Yadadri-Bhongir, Vikarabad, Ranga Reddy, Mahabubnagar, Jogulamba-Gadwal, Nagarkurnool, Wanaparthy and Medchal-Malkajgiri districts. While parts of the State were witnessing thunderstorms over the past few days, temperatures too were rising in Telangana to uncomfortable levels. IMD said the day temperatures rose above 40 degrees Celsius in most parts of the State, with the mercury hitting the 43-degree mark in Adilabad, Nizamabad and Ramagundam on Monday. Hyderabad recorded 40 degrees Celsius. Temperatures below 40 degrees were reported from two places, Dundigal and Hakimpet, which recorded 39 degrees, IMD said. With the State in the grip of soaring temperatures, IMD said heat wave conditions prevailed in isolated areas in Khammam district. But, there may also be some temporary relief in some parts of the State over the next four days with light to moderate rain and thunderstorms predicted. The weatherman, however, cautioned that the maximum temperatures were likely to be above normal by two to four degrees in certain areas.